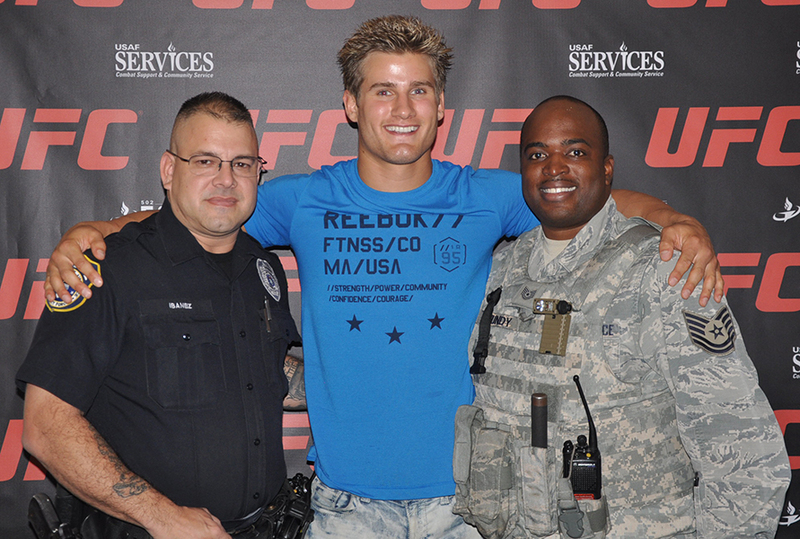 UFC fighter Sage Northcutt visits Kendrick Club on Joint Base San Antonio-Randolph to watch UFC 204. The UFC and the military have always had a special relationship. The UFC has brought live “Fight for the Troops” events to military bases across the country, including Fort Hood in Texas and Fort Campbell in Kentucky. At Joe Hand Promotions, we’re proud to extend that relationship to the Pay-Per-View audience. We offer a special military rate and have partnered with dozens of military installations to bring the excitement of UFC to their active personnel. We can turn any on-base bar, restaurant, recreation center or lounge into the ultimate UFC party! For more information on our military program, email us at customerfirst@joehandpromotions.com or call 1-800-557-4263 and ask for military representative Jim Fenstermacher. UFC is the fastest-growing sport in the U.S. with more than 37 million fans. NIK SHAMROCK, NF-III, DFAC, Manager, Pacific Coast Club, Vandenberg AFB, Calif.